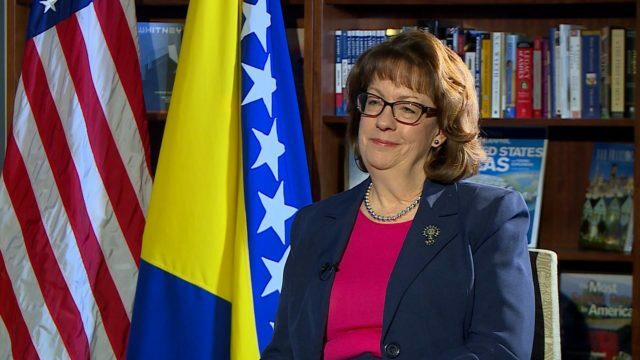 The Advisory Council for Bosnia and Herzegovina will award special recognition to the former US Ambassador to Bosnia, Maureen Cormack, former US Ambassador to Austria Swanee Hunt and General Major Linda L. Singh for their dedication and engagement in Bosnia, at a gala dinner on April 13, in Washington. The gala dinner, which will be dedicated to awarding special recognition to women leaders, will be attended by Bosnia’s Croat Presidency Member Zeljko Komsic and the Mayor of Sarajevo, Abdulah Skaka. The organisers recalled that Ambassador Cormack, who was the first woman Ambassador in Bosnia, showed exceptional leadership in challenging circumstances, focusing on essential issues like the rule of law. The Council also said they would award Maida Kalic Zheng, captain of the US Navy who arrived in the US during the 1992-1995 war as a refugee from Northern-Bosnian town of Brcko, Mahira Tanovic, a respected plastic surgeon who helped civilians in the besieged Southern-Bosnian town of Mostar during the war in Bosnia, who later built a very successful doctoral career in the US. The last year’s special guest of the gala dinner was the former US President Bill Clinton who received the lifetime award, and in 2017 this award was handed to the former US President Joe Biden.